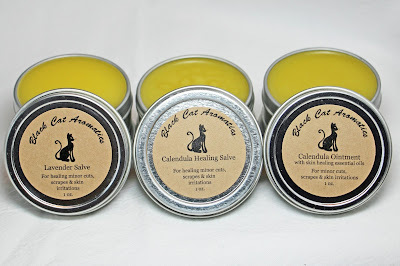 What's the difference between my Lavender Salve and my two Calendula Salves? All three are made with basic organic ingredients: Flowers, Jojoba Wax or Olive Oil, and Beeswax. 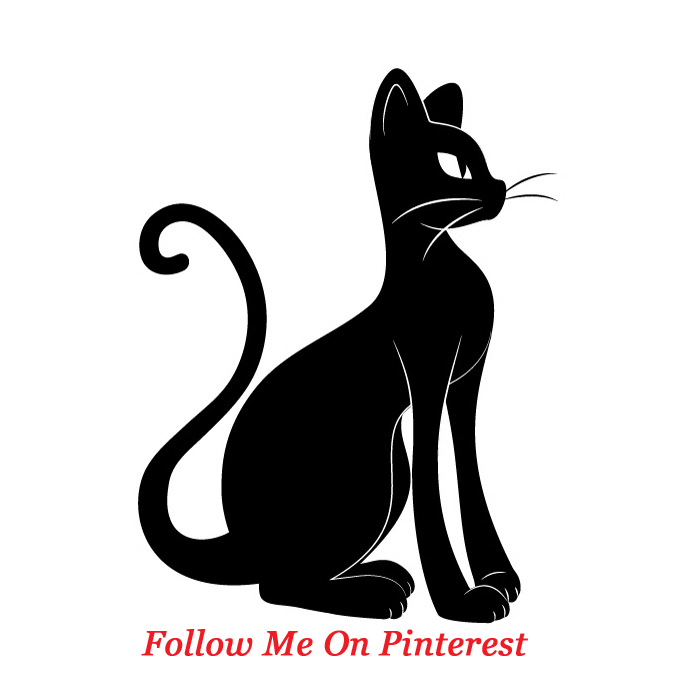 Take a look below to see how they're each made. 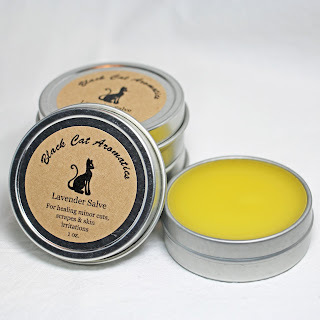 The Lavender Salve is made with fresh lavender grown in my garden. The flowers are infused into Jojoba Wax giving a nice subtle lavender scent. 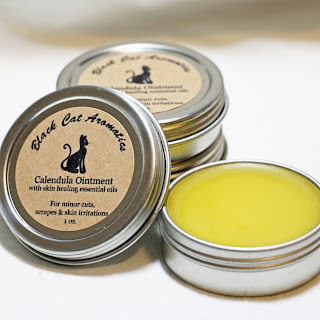 The jojoba is then blended with beeswax to make the salve. 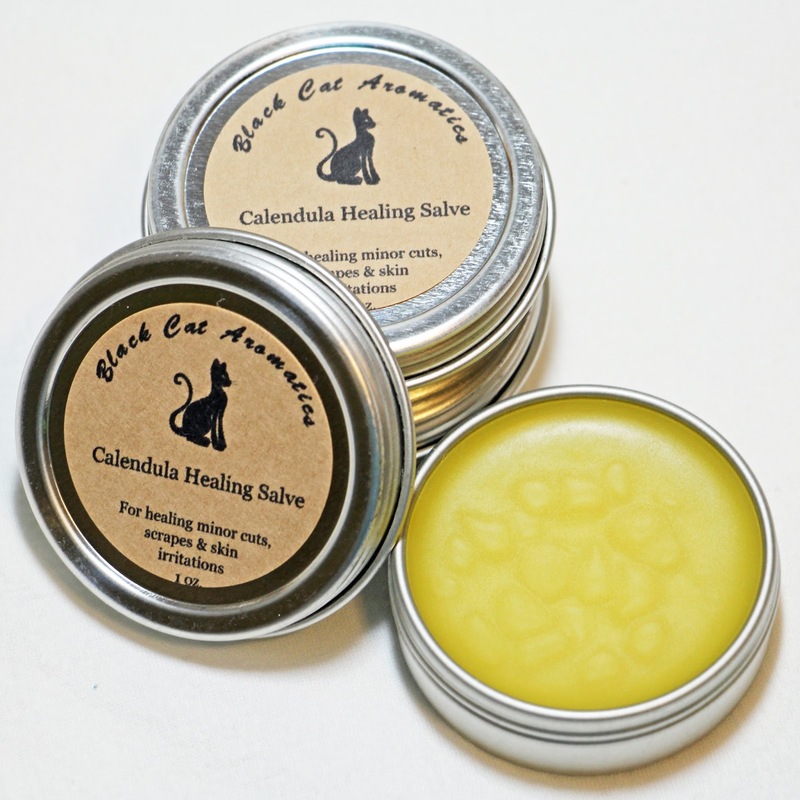 My Calendula Salve is made by infusing calendula flowers into olive oil. Once infused, the oil has a brighter tint and a lighter scent. Then the infused oil is blended with beeswax and poured into tins. My Calendula Ointment is made the same as my Calendula Salve, however I add essential oils to the ointment to make it a little more potent for healing cuts and scrapes. My salves and ointment are an excellent alternative to petroleum based products. 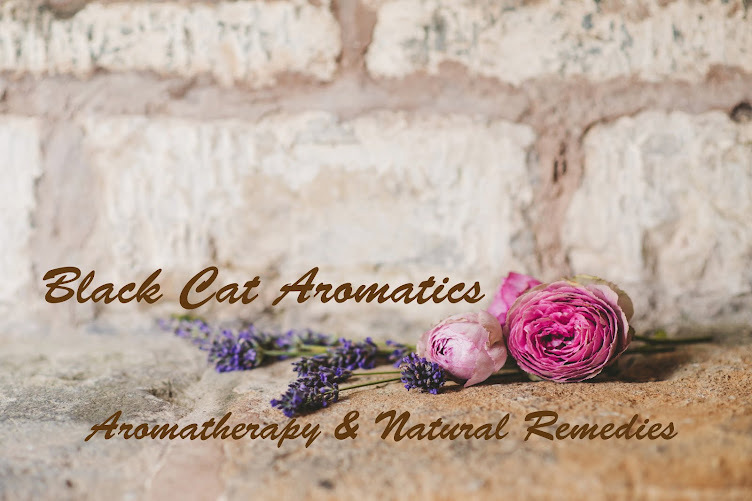 Useful for soothing minor bumps, bruises, small cuts & scrapes and minor skin irritations, they are the perfect addition to your natural first aid kit. And they're great for cuticles too!